This bundle contains all of the material necessary for teaching Business Finance classes in a classroom. For more details click on the individual product or see description below. 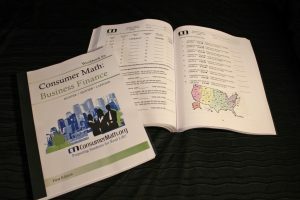 Business Finance is part 2 (1 semester) of the Consumer Math course. These courses are designed to fulfill general math credit for high school students. The focus is on applying math skills to real world situations, not the mechanics of how to do the math. 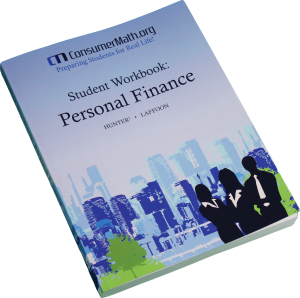 Get one full year of access to the curriculum online as you teach students to build on and expand the personal finance lessons. Topics include: How many employees do I need? What are my profits? How do I do my taxes? The Business Finance course will take the student through these basic questions that each small business owner needs to answer. With a CTM Bank subscription, one instructor can access and manage their students bank accounts. The pricing is based on the number of students the teacher will be tracking, ranging from $30 for 5 students to around $410 for 200 students.